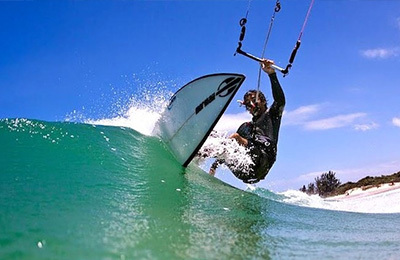 Bali Kitesurf School - Sanur, Legian Opiniao geral de hospedes: ★★★★★ 5 Com base em 7 Comentarios . Costa Teguise Surf Camp - Las Caletas, Lanzarote Opiniao geral de hospedes: ★★★★★ 5 Com base em 2 Comentarios . Beachfront Surf Hotel - Thulusdoo Island, Kaafu Atoll Maldives Opiniao geral de hospedes: ★★★★★ 5 Com base em 2 Comentarios . 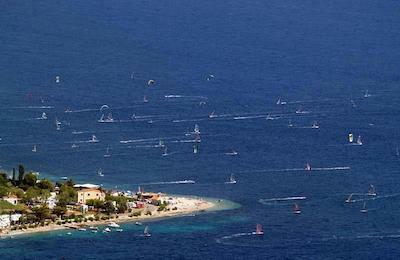 Beach Ponta Kitesurf, Windsurf & Wakeboard Apartment - Viganj, Korcula Opiniao geral de hospedes: ☆☆☆☆☆ 0 Com base em 0 Comentarios . Florianópolis Kite and Surf Camp - Santa Catarina, Florianopolis Opiniao geral de hospedes: ★★★★★ 5 Com base em 6 Comentarios . Visit Florianopolis Kite camp and Surf School and learn to surf in Brazil with professional certified instructors and have an incredible week of surf, sun and partying, but also discover a passion for surfing that will last them a lifetime. Comfortable private accommodation just a few steps from the beach and plenty of fun! 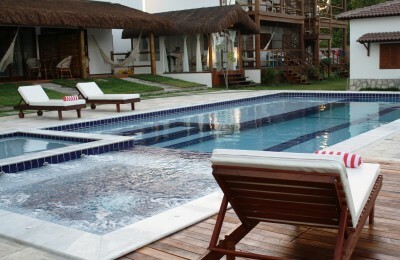 Brazilian traditional breakfast and plenty of places to eat fresh seafood and specialties. The Island of Santa Catarina and Florianopolis are the best destinations for surf in Brazil. 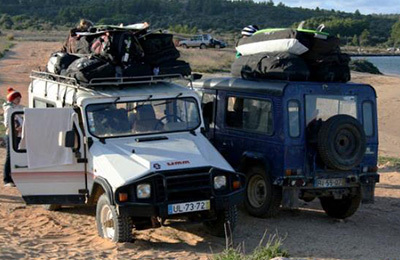 Algarve Kitesurf, Surf, Windsurf and Wakeboard Camp - Lagos, Algarve Opiniao geral de hospedes: ★★★★★ 5 Com base em 3 Comentarios . TARIFA Accommodation, School & Kitesurf Camp - Cadiz, Andalucia Opiniao geral de hospedes: ★★★★★ 5 Com base em 3 Comentarios . Los Caños de Meca Surf Camp - El Palmar, Cadiz Opiniao geral de hospedes: ★★★★★ 5 Com base em 3 Comentarios . This place near the most southern point of Spain has it all! Beautiful beaches, Waves, Wind & Kites Surf spots, Nature, Culture and good vibes! 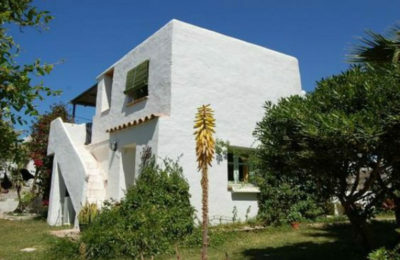 Just above Tarifa, out of the tourist zone into calmness and an easy going lifestyle! Andalusia is famous for their white villages, great breakfasts and delicious meals. Doing twice a day Yoga will help you relax, stretch and strengthen your body & mind. A healthy easy step out of your daily structure into an easygoing lifestyle among locals. Taibinha Kitesurf Camp - Taiba, Fortaleza Opiniao geral de hospedes: ★★★★★ 5 Com base em 3 Comentarios . 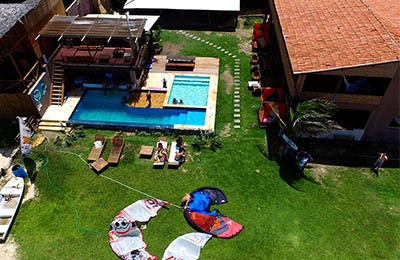 Guajiru Island Kitesurf Camp - Fortaleza, Ceara Opiniao geral de hospedes: ★★★★★ 5 Com base em 4 Comentarios . HUDHURANFUSHI Lohifushi Luxury Surf Resort - Maldives, Northern Atolls Opiniao geral de hospedes: ★★★★★ 5 Com base em 6 Comentarios . 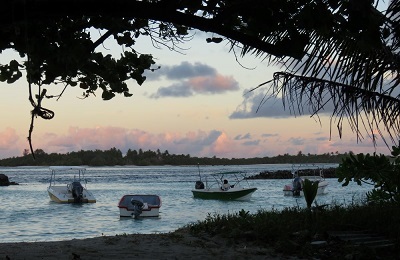 The resort formally known as Lohifushi. 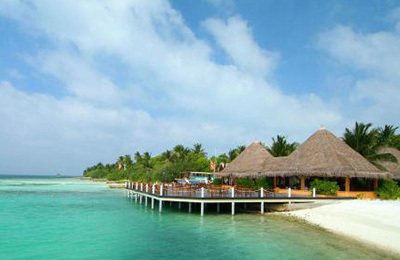 4 star standard luxury beach villa resort. Lohi's peeling Left hander breaks right on the resort. Only guest allowed to surf! Playa Encuentro - Cabarete Surf Camp - Cabarete, Puerto Plata Opiniao geral de hospedes: ★★★★★ 5 Com base em 3 Comentarios . 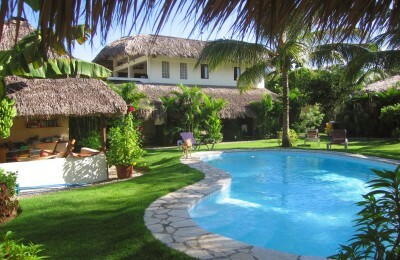 We're located in Cabarete, Dominican Republic, is all about surf, kite and relax. It is the accommodation closest to Playa Encuentro, the best surf spot in the Caribbean and only 3 miles from the famous Kite Beach. 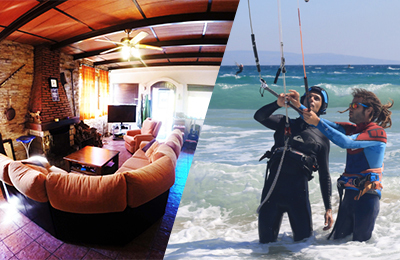 Surfers, kiters, scuba-divers and also people who just love our quiet, clean and safe place come to stay at our little paradise. Corralejo Beach Windsurf Camp - Corralejo, Fuerteventura Opiniao geral de hospedes: ★★★★★ 5 Com base em 6 Comentarios . A Windsurfcamp with WindSurfYoga in Fuerteventura is Daily Windsurfing, Yoga, Surfing classes and a good vibe. 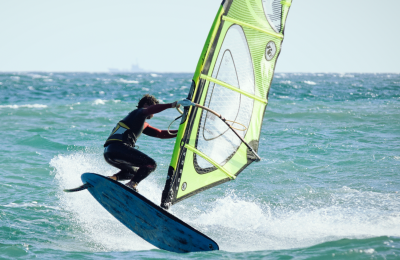 Learn to Windsurf, Improve your skills or even advanced courses (waves, freestyle) and daily Yoga to stretch and strengthen the right muscles, helping you improve even more while also a great moment for your self, relaxing, enjoying life! We are Passionate, Small and Challenging! Our WindSurfYoga base in Corralejo is at a relaxed guesthouse. Good vibes is what we aim for, easy going, like minded people and an experience of some of the local goodlife! Costa Rica, Panama, Nicaragua Surf Trip - Best Surf spots, South America Opiniao geral de hospedes: ★★★★★ 5 Com base em 2 Comentarios . Explore and Conquer all of Costa Rica's waves. Chase the swells, escape the crowds, find your own private breaks. This is the best option to surf the best waves in the country. 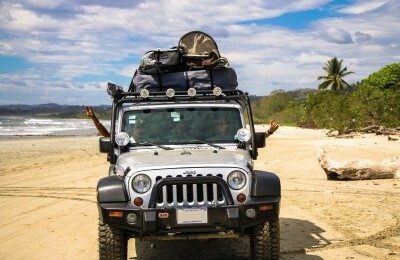 Explore all of Costa Rica with these fully camping equipped 4x4's - no limits. All inclusive. 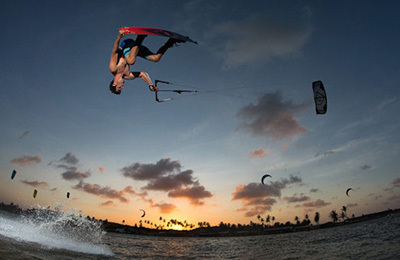 Ponta do Santo Cristo Kitesurf Hotel - São Miguel do Gostoso, Rio Grande do Norte Opiniao geral de hospedes: ★★★★★ 5 Com base em 1 Comentarios . Ours luxurious chalet and suites are designed to provide to you and to your family the maximum comfort with refinement and sophistication. Everything has been made with the best materials and each room has been stylishly decorated. Foz do Arelho beach Surf House - Caldas da Rainha, Silver Coast Opiniao geral de hospedes: ★★★★★ 5 Com base em 2 Comentarios . 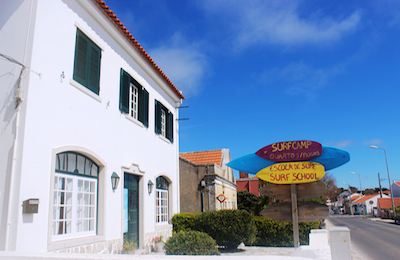 A modern Portuguese surf house located in Foz do Arelho, half way between Peniche and Nazare. The surf school provides also Kite Surf lessons in the lagoon of Obidos, offering perfect conditions for beginners who want to have a first surf and kite surf experience in Portugal. Tarifa Los lances norte Kitesurf House - Tarifa, Cadiz Opiniao geral de hospedes: ★★★★★ 5 Com base em 3 Comentarios . It is a sport club, borned with the aim to offer something different to what you can find anywhere else in the world. We believe in GOOD LIFE, which means HEALTY FOOD & LIFESTYLE and SPORTS. Costa da Caparica Kitesurf, SUP & Surf Hostel - Almada, Lisbon Opiniao geral de hospedes: ★★★★★ 5 Com base em 2 Comentarios . If you are one of those who loves to open your room window and inspire the ocean fragrance, you ought to plan your holidays or a short break here. 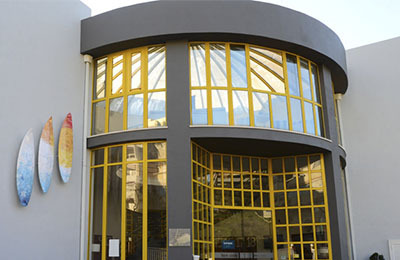 Located in Costa da Caparica, in the county of Almada, Caparica Sun Centre offers several accommodation and activities options. Cool beach days are always a guarantee and there are about 13 km of a long sandy seaside. Pounda Kitesurf Resort - Parikia, Paros Opiniao geral de hospedes: ★★★★★ 5 Com base em 5 Comentarios . Sparkling white Cycladic with a fresh sea water swimming pool the Hotel is an ideal choice for relaxing and getting away from it all. We offer unique accommodation of excellent quality with respect to our guests' needs. Kitesurfing, walking, scuba diving whatever you are looking for, our staff will be happy to help you to organize holidays you dream! Corralejo Surf House - Fuerteventura, Canary Islands Opiniao geral de hospedes: ☆☆☆☆☆ 0 Com base em 0 Comentarios . Our surf house is situated in center of Corralejo. Next to main avenue it is close to shops, bars and restaurants. First beach is approx. 150 m from our house. House has 3 rooms for guests: 2 rooms with 2 bunk beds and 1 room with double bed. Big living room, 1 bathroom, kitchen and 2 shared guest rooms are on the ground floor. On the upper floor is double room, terrace and 1 bathroom. 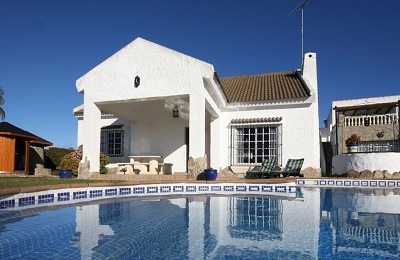 House has spacious terrace with BBQ and private pool. Vietnam Kite, Wind & Surf Hotel - Phan Rang, Ninh Thuận Opiniao geral de hospedes: ★★★★★ 5 Com base em 3 Comentarios . Fuerteventura Surf & Windsurf Hostel - Corralejo, Las Palmas Opiniao geral de hospedes: ☆☆☆☆☆ 0 Com base em 0 Comentarios . Get the most out of your surfing in Fuerteventura! 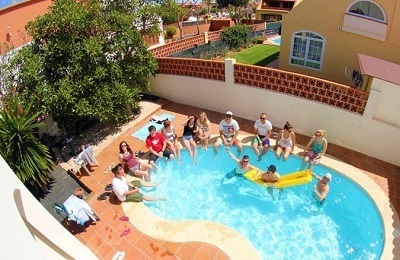 Stay in the surf house or private apartments, go surfing every day with Surf and Windsurf School Fuerteventura, experience the surfing way of life and meet new friends. 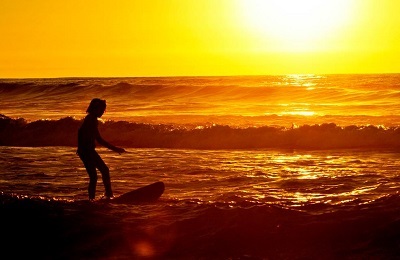 The best way to have a easy going surfing holiday in paradise! A surfcamp has standard 7 nights of accommodation and 5 days of intensive surf lessons, but no worries if you stay longer or shorter or want more or less surfing days: just contact us with your wishes and we’ll send you a custom pricing! Caparica Surf Camp - Costa da caparica, Lisbon Opiniao geral de hospedes: ☆☆☆☆☆ 0 Com base em 0 Comentarios . The perfect balance between the excitement of the city and the tranquility and fun of the beach. We also provide exciting moments, where the sunset fades into the aromas of a barbecue which then leads to Bairro Alto, one of the most famous spots in the capital to have some fun. On top of everything, we have the beach, the waves, the weather, the food that will absorb you from your fast-paced routine. Caños de Meca Surf Villa - Zahora Beach, Cádiz Opiniao geral de hospedes: ☆☆☆☆☆ 0 Com base em 0 Comentarios . With Caños de Meca Surf Villa as your base, the famous surf-spots of Caños de Meca and El Palmar are only a 2-minute drive away. Villa for 6-12 persons (can be rented with an annex or the annex can be left closed off) with saltwater pool, private Spa & A.C. set in a secluded garden 700 meters from the magnificent Zahora beach. 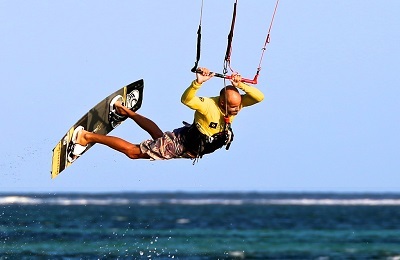 A wide range of outdoor activities available in the area: Kiting, Surfing, Windsurfing, Yoga, Mountain biking, Horseriding.